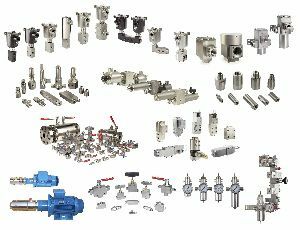 From its origins in the 19th century mining industry, Bifold has evolved into a leading manufacturer of instrument valves and accessories, piping valves and pumps for the oil, gas and wider industrial markets, with expertise in a number of niche sectors including subsea and wellhead control systems. It also has market leading technology in areas that include the development of solenoid valves with ultra-low power requirements. Bifold has a strong market presence and excellent brand recognition. As part of Rotork, Bifold will sit within the Rotork Instruments division and will be able to offer a broader product portfolio to its customers. “The acquisition of Bifold represents an exciting step forward in the continued development of Rotork Instruments. This strategic acquisition of a long held target of Rotork’s is directly in line with our core strategy of strengthening Rotork’s presence in the flow control sector and broadening our product portfolio.